Our guests are like family to us. Thank you for returning to the Dunes Manor Hotel, the Dunes Court or the Dunes Suites. Returning guests are eligible for a discount ranging from 5% to 15% throughout the year. In addition, returning guests are eligible for an upgrade at check in based upon availability. Join the Club - Dunes Circle today and get rewarded. WELCOME BACK! 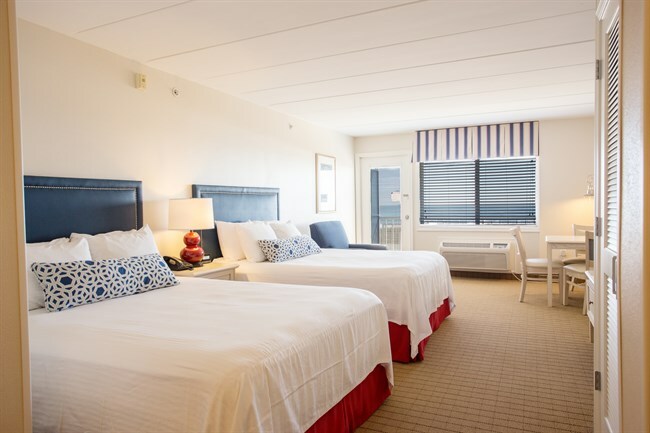 Deluxe rooms at the Dunes Hotel offer breathtaking direct ocean front views from the top three floors of this iconic building in Ocean City Maryland. Freshly refurbished, double queen accommodations, private balcony with comfortable seating, 48” HDTV, complimentary Comcast fiber WiFi and glass enclosed showers. Enjoy impressive ocean views from the comfort of this guest room with a refrigerator, microwave, and coffee maker with Starbucks® Coffee. This guest room is spacious and provides ample closet space and a relaxing seating area. Ample off-street parking and daily housekeeping service allows for a fully relaxing stay. Pamper yourself with in room dining. Enhance your stay and take advantage of the amenities such as daily Afternoon Tea from 3pm – 4pm, the indoor/outdoor pool and decks, beach bar, restaurant, bar, verandah, complimentary morning coffee and sing-alongs on scheduled evenings. This room contains two comfort queen-size beds and a bathroom fully refreshed and updated with a shower. Additional features include an alarm clock radio with MP3 connection, blackout curtains, iron & ironing board and a safe. All accommodations at the Dunes Hotel offer breathtaking direct ocean front views and are freshly refreshed. 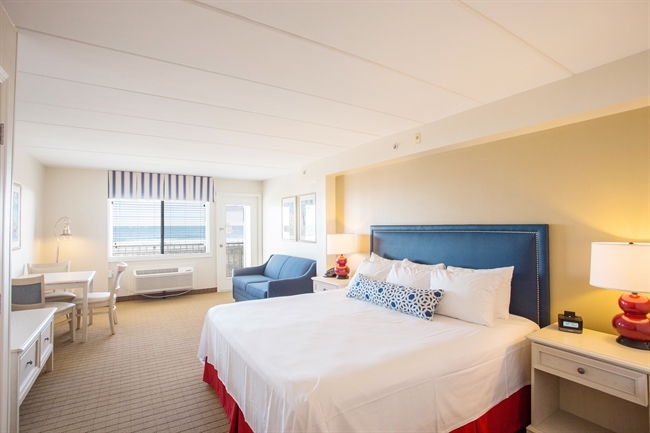 Our double queen bed accommodations offer private balcony with seating area, 48” HDTV, complimentary Comcast fiber WiFi and the sounds & breezes of the Atlantic Ocean. Enjoy impressive ocean views from the comfort of this guest room with a refrigerator, microwave, and coffee maker with Starbucks® Coffee. This guest room is spacious and provides ample closet space and a relaxing seating area. This room contains double queen comfort beds and a bathroom with refreshing bath amenities. Additional features include an alarm clock radio with MP3 connection, blackout curtains, iron & ironing board and a safe. Ample off-street parking and daily housekeeping service allows for a fully relaxing stay. Pamper yourself with in room dining. Enhance your stay and take advantage of the amenities such as daily Afternoon Tea from 3pm – 4pm, the indoor/outdoor pool and deck, beach bar, restaurant, bar, verandah, complimentary morning coffee and sing-alongs on scheduled evenings. All accommodations at the Dunes Hotel offer breathtaking direct ocean front views and are freshly refurbished. 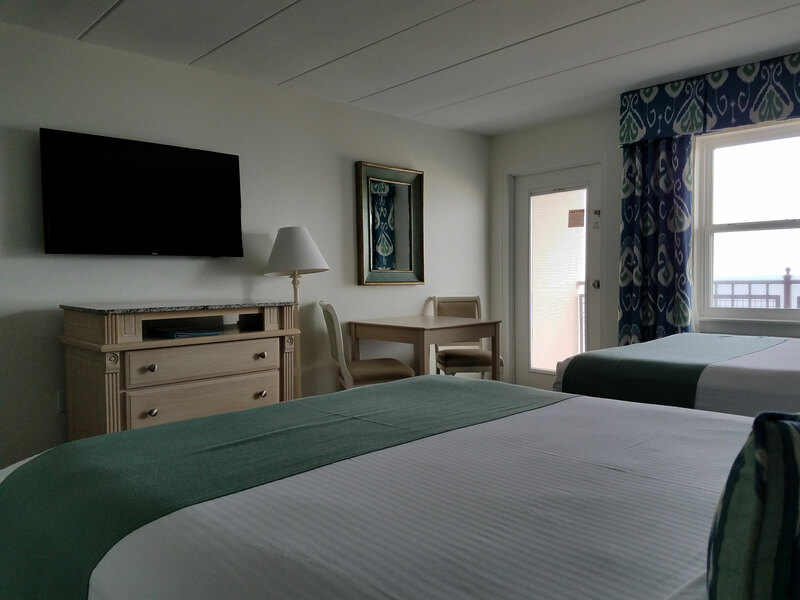 Our two double bed accommodations offer private balcony with seating area, 48” HDTV, complimentary Comcast fiber WiFi and the sounds & breezes of the Atlantic Ocean. Enjoy impressive ocean views from the comfort of this guest room with a refrigerator, microwave, and coffee maker with Starbucks® Coffee. This guest room is spacious and provides ample closet space and a relaxing seating area. This room contains two double comfort beds and a bathroom with refreshing bath amenities. Additional features include an alarm clock radio with MP3 connection, blackout curtains, iron & ironing board and a safe. Ample off-street parking and daily housekeeping service allows for a fully relaxing stay. Pamper yourself with in room dining. Enhance your stay and take advantage of the amenities such as daily Afternoon Tea from 3pm – 4pm, the indoor/outdoor pool and deck, beach bar, restaurant, bar, verandah, complimentary morning coffee and sing-alongs on scheduled evenings. 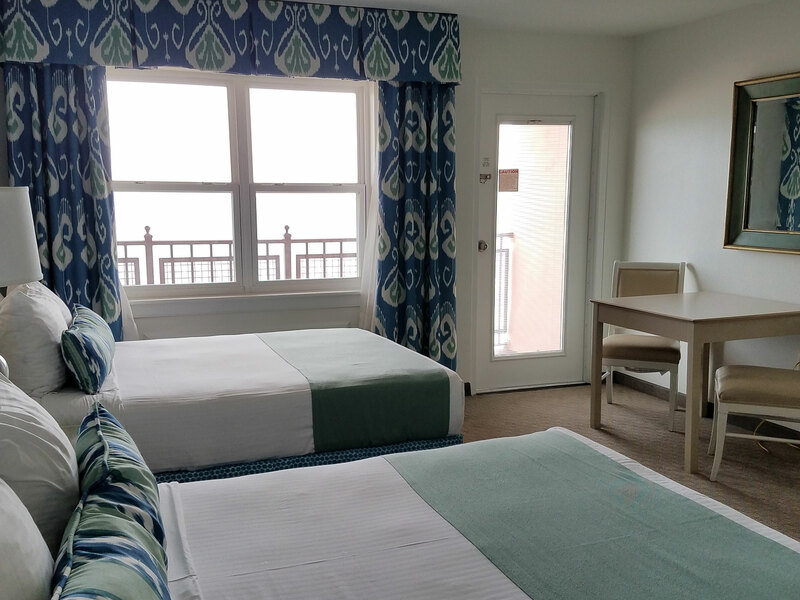 Dunes Suites is direct ocean -facing and ½ block from Dunes Hotel, oceanfront private balcony with seating, kitchenette, 48 inch HDTV, king bed with sofa bed, complimentary Comcast fiber WiFi – a oceanfront condo-like layout that will make you feel right at home. Enjoy impressive ocean views from the comfort of this one room efficiency suite with a fully equipped kitchen, microwave, coffee maker and a full-size refrigerator and cooktop stove so it is easy to be prepare a home cooked meal while you are away on vacation. This one room suite is spacious and provides ample closet space and a relaxing seating area. Convenient check in at the Dunes Suites on-site office where you can find amenities like ice and snacks, ample off-street parking and daily housekeeping service allows for a fully relaxing stay. Enhance your stay and take advantage of the amenities of the Dunes Hotel such as daily Afternoon Tea from 3pm – 4pm, the indoor/outdoor pool and deck, restaurant, bar, verandah, complimentary morning coffee and sing-alongs on scheduled evenings. This suite contains one king-size bed with sofa bed and a bathroom with refreshing bath amenities and hair dryer. Additional features include an alarm clock radio with MP3 connection black out curtains, iron & ironing board and a safe. Dunes Suites is direct ocean -facing and ½ block from Dunes Hotel, oceanfront private balcony with seating, kitchenette, 48" HDTV, two queen beds, complimentary Comcast fiber WiFi – a condo-like layout that will make you feel right at home. Enjoy impressive ocean views from the comfort of this one room efficiency suite with a fully equipped kitchenette, microwave, coffee maker and a full-size refrigerator and cooktop stove so it is easy to be prepare a home cooked meal while you are away on vacation. This one room suite is spacious and provides ample closet space and a relaxing seating area. Convenient check in at the Dunes Suites on-site office where you can find amenities like ice and snacks, ample off-street parking and daily housekeeping service allows for a fully relaxing stay. Enhance your stay and take advantage of the amenities of the Dunes Hotel such as daily Afternoon Tea from 3pm – 4pm, the indoor/outdoor pool and deck, restaurant, bar, verandah, complimentary morning coffee and sing-alongs on scheduled evenings. This suite contains two comfort queen-size beds and a bathroom with refreshing bath amenities and hair dryer. Additional features include an alarm clock radio with MP3 connection, black out curtains, iron & ironing board and a safe. 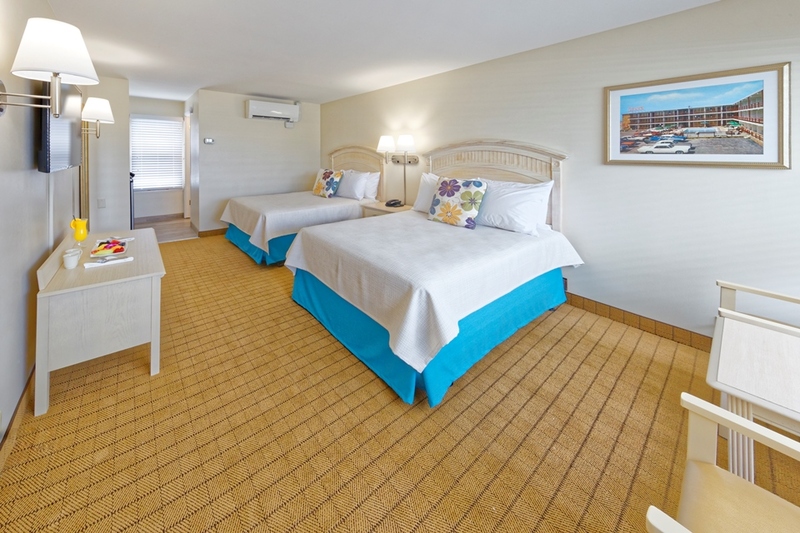 Immediate beach and boardwalk access right out your door from this ground floor one room accommodation at the Dunes Suites located ½ block from Dunes Hotel. Nestled behind the sand dunes you have direct beach access, private patio, grassy area, kitchenette, 48" HDTV, two queen beds, and complimentary Comcast fiber WiFi – a condo-like layout that will make you feel right at home. Enjoy an impressive beach front location from the comfort of this one room efficiency suite with a fully equipped kitchen, microwave, coffee maker and a full-size refrigerator and cooktop stove. This two-room suite is spacious and provides ample closet space and a relaxing seating area. Convenient check in at the Dunes Suites on-site office, where you can find amenities like ice and snacks, ample off-street parking and daily housekeeping service allows for a fully relaxing stay. 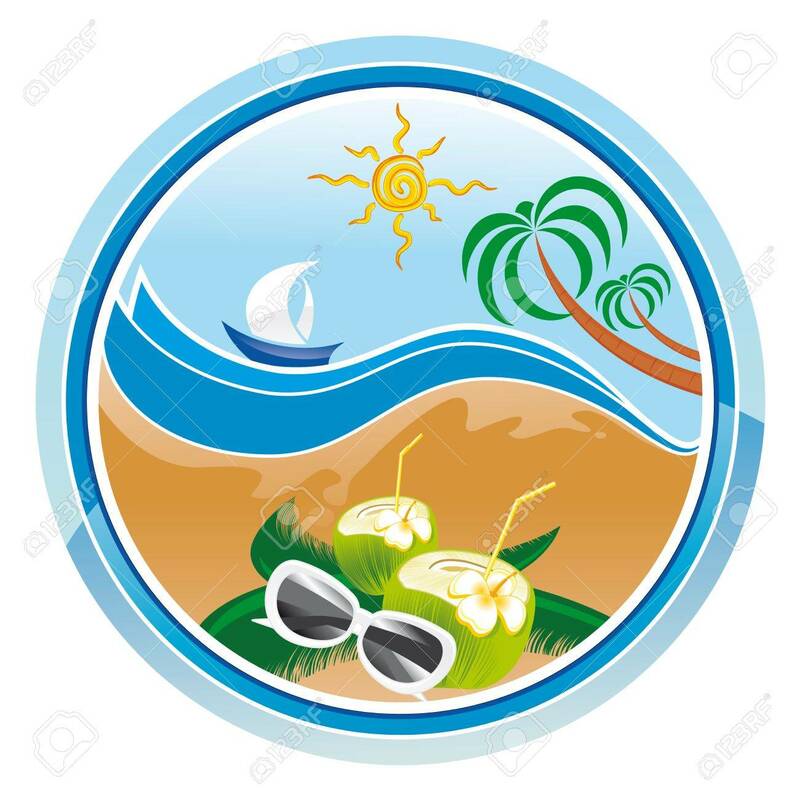 Enhance your stay and take advantage of the amenities of the Dunes Hotel such as daily Afternoon Tea from 3pm – 4pm, the indoor/outdoor pool and deck, beach bar, restaurant, bar, verandah, complimentary morning coffee and sing-alongs on scheduled evenings. This suite contains two comfort queen-size beds and a bathroom with refreshing bath amenities and hair dryer. Additional features include an alarm clock radio with MP3 connection, black out curtains, iron & ironing board and a safe.